As the summer fades giving way to the monsoon, it’s time to protect your Ashiana from the troublesome rains. While the weather is here to stay, the first thing to consider is to shield your home from possible floods. 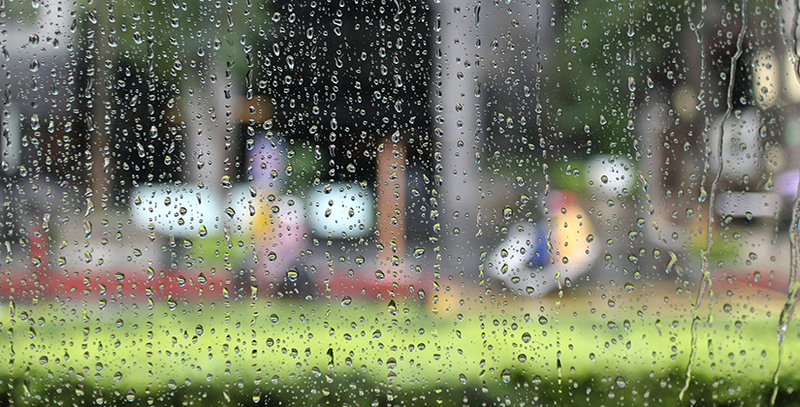 Previously, many people weren’t well-equipped to guard their homes against heavy rains. With advancements in technology and infrastructure, many things have changed. Here are some of the tips you can implement for your exteriors and interiors of Ashiana homes and live life with zero worries. When rains get heavy, it can harm the quality of exterior paint. Adding another protective layer around your property before the rains begin will retain the coating of the paint. Search for any bubbling, peeling or cracking of paint. Touchdown on any problematic area as soon as possible to prevent further damage to your siding. Ensure that you don’t leave any loopholes behind as the chip-offs and peel-offs are a definite sign of dampness. One of the foremost things you must consider to be prepared for a heavy rainfall is to remove all the solid elements in your gutter. Twigs, plastics, papers, and other materials tend to clog the drain and block the smooth water flow. The built-up particles also lead to overflowing. Ensure pest control is carried out in the exteriors. If you live in an area that’s prone to heavy downpours, you need to make sure that any gaps or holes in the sealant surrounding your doors and windows are closed. This ensures the rain stops from seeping in and regular repairs will greatly impact sealant erosion. Also, keeping Camphor or Naphthalene balls in almirahs and furniture will avoid bugs and other annoying insects. Heavy rainfall and the dangers of viable floods can bring atrocities to your home. Check for naked wirings and non-insulated chords. Keep these wires away from moisture or any water leakages. Ensure that all electrical appliances are stored upstairs where water is unlikely to reach. As we are aware that water and electricity are a source of disaster. If your home has begun to flood, stay away from the fuse box and ensure that all sockets are covered and turned off. Cover all the air vents and do not allow any rainwater to seep in. Air vents are one of the most common gaps for rains to enter and disturb your peace. If you are aware of the heavy rain or fall into the risk of flooding, ensure that you cover both the sides of the opening. Cover the insides with a thick plastic cover and the outside with a sheet. Educate your children about waterborne diseases & dengue caused by deadly mosquitoes. Keep a close tab on stagnant water as it might be the beginning of spreading dangerous waterborne diseases. Ensure to cleanse your curtains and upholstery before the rains begin. Using a mesh or a net for the windows can block the mosquitoes from entering the house. Inform the facility and maintenance management immediately if stagnation persists.